A couple of weeks ago, I finally made it to the Golden Pigeon Diner in Bridgeton, NJ. Why finally? I’ve been excited to make the Golden Pigeon work because of the name. Except for the “Time to Eat” diner, The Golden Pigeon has one of the coolest names. The Golden Pigeon is typical of a New Jersey Diner. The outside is a mixture of both cobblestone and metallic in the front. There is a huge sign that says “diner” and fresh baking on premises. The promise of fresh baking is enough to lure anyone in. The coffee was good. However, they were out of whipped cream! A diner with fresh baking and no whipped cream? Oh well, it’s only happened a few times. I don’t always get coffee with whipped cream, and I do prefer it. The Golden Pigeon has everything you can imagine in a diner. There are plenty of breakfast, lunch, and dinner options. I’ll warn you that the portions are huge. I decided to order the Pork Chop special, and it did not disappoint. I’ve never had anything like it! It started off with the choice of salads, and I chose a Greek which came with anchovies (off to a good start). I also got fresh cheese bread which was amazing. If you have never had cheese bread, it’s bread baked with cheese in the center. My three pork chops came with sautéed onions and on top of hashbrowns as well as french fries. It was unique, ultra filling, and I have no complaints. I wasn’t expecting the french fries, so it was definitely a filling addition. For my side, I chose beets.I’m happy I did because I knew it would be a lot of food and I like good beets. The server was nice. I think he might have also been the manager, but he was friendly, chatted often, and made sure I had plenty of refills and that my food came out quickly. For my entire meal and coffee, it was $15. I enjoyed the Golden Pigeon a lot, and it’s one of my top diners in the area. I’ll be back if it works out. You Can See all 212 Diners Here. What is one of your favorite restaurant names? I got a lot of questions about the carrot cake yogurt. It isn’t Greek yogurt-but Yoplait. I just plopped it right on top of my carrot cake waffle for double carrotcakeness. I don’t limit myself to Greek yogurt all the time because quite frankly I enjoy the taste of other yogurts too. Today was just one of those days that I woke up at 6:00am to swim with the daddykins. 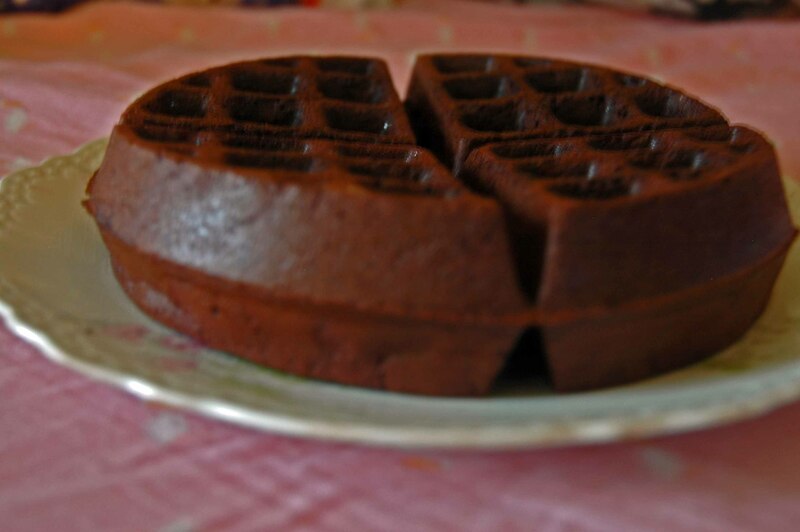 I had my favorite waffle for breakfast. 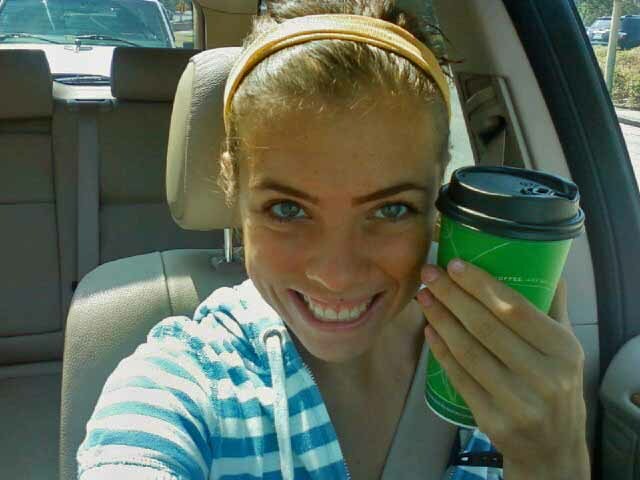 And gas station coffee and froyo for lunch. I had to go take a test on the campus for my online class, which happens to be downtown right next to my favorite mall. 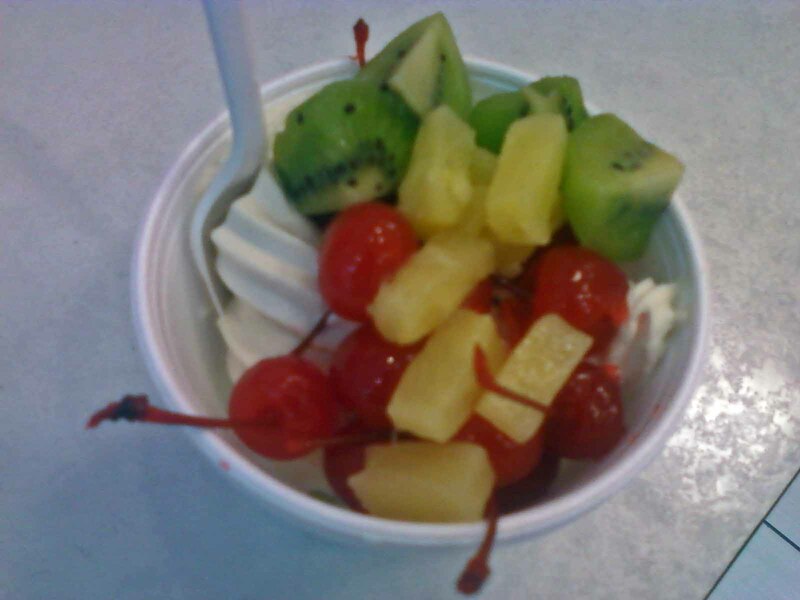 Which happens to have coconut froyo and cherries. Win. Sadly though Lorraine is in the shop, so I have to put up with Renold. I do in fact, name all the cars in my life old people names. Somehow the daddykins does not approve of his mustang being named Otis. coconut, cherries, kiwi and pineapple. It was oddly the bomb.com. Today was also a very unproductive day as I sat here reading (for quite some time) your lovely bizarre stories about your life and am glad to know I am not the only one. I thought these things only happened in the movies. I would have drop kicked him. This was also one of those days where Nikki Manaje and I were besties. As she accompanied me on my speed workout today. Todays run was 2 miles warmup/cooldown 8X400 with 100 jog and 1 minute rest in between. If you download this song and play it on repeat, it’s like we are running together. 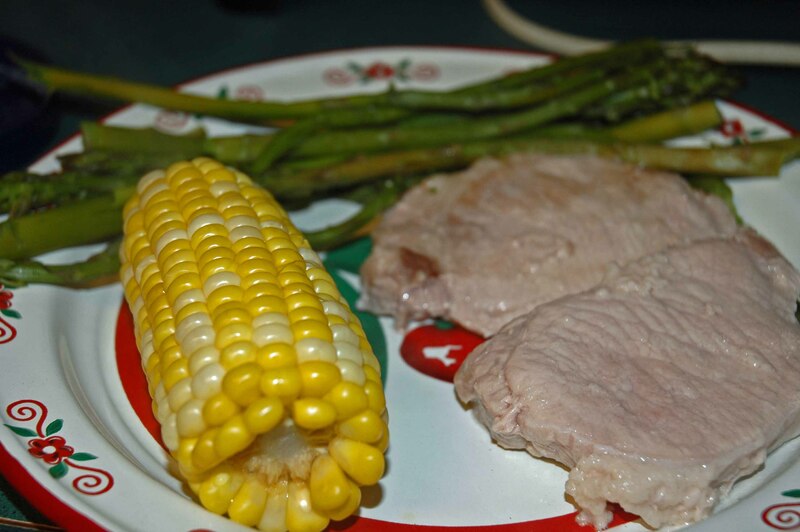 And one of those days where the mom and I just wanted to make something easy aka pork chops, corn and asparagus. Another one of my favorite meals. 1. Do you ever have those blurs of days? I think it’s possibly because I’m in a rather deep sleep deficit personally. 2. Nicki M, yay or nay? I’m still not sure how I feel about her but this song is awesomesauce. But her music video of 20 her kind of frightens me.